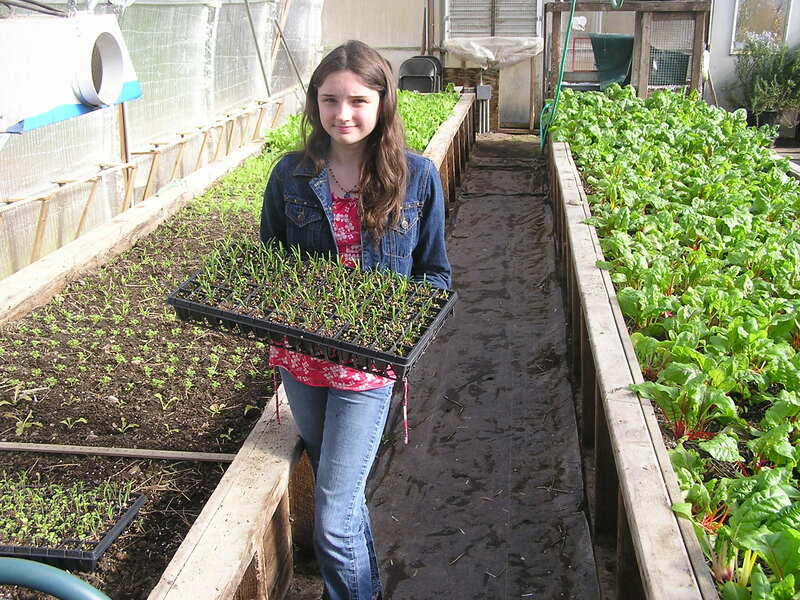 Jennifer Pierce of Waldo donated tons of plug trays and flats from her old business for use at the school greenhouse. We use the trays to start all the greens grown in the raised beds. This has been found to be a very efficient use of space and seeds. The beds of greens are extremely neat compared to direct seeding. Below Martina displays a tray of spinach grown for transplanting.